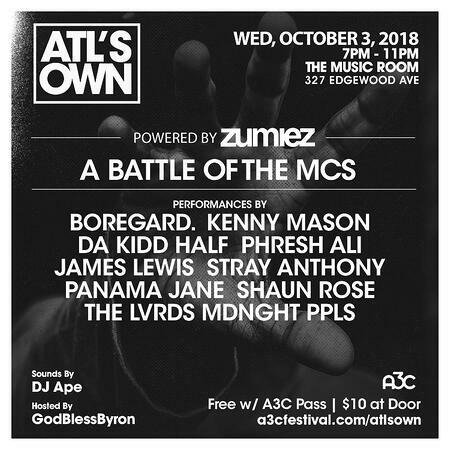 2 Artists are hand-picked to perform on the official ATL's Own show during the 14th annual A3C Festival & Conference (October 3-7, 2018). ATL's Own is monthly event series in search of the best undiscovered MCs in Atlanta. Atlanta is ground zero for hip-hop, and we want to give artists at every level the opportunity to advance their career and break through. If you live in ATL and want to get on, ATL's Own is built for you. 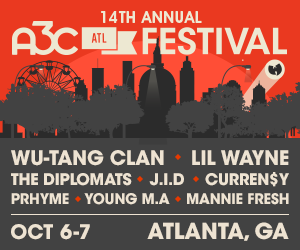 Each month A3C selects a different curator in ATL to help select the artists and judges. Want to peform at ATL's Own? If you want to be considered for ATL's Own, submit to peform via Sonicibds. We'll be selecting at least 2 local artists from Sonicbids for each ATL's Own. We'll also be selecting artists for A3C Live and the A3C Festival & Conference, but you only need to submit once!